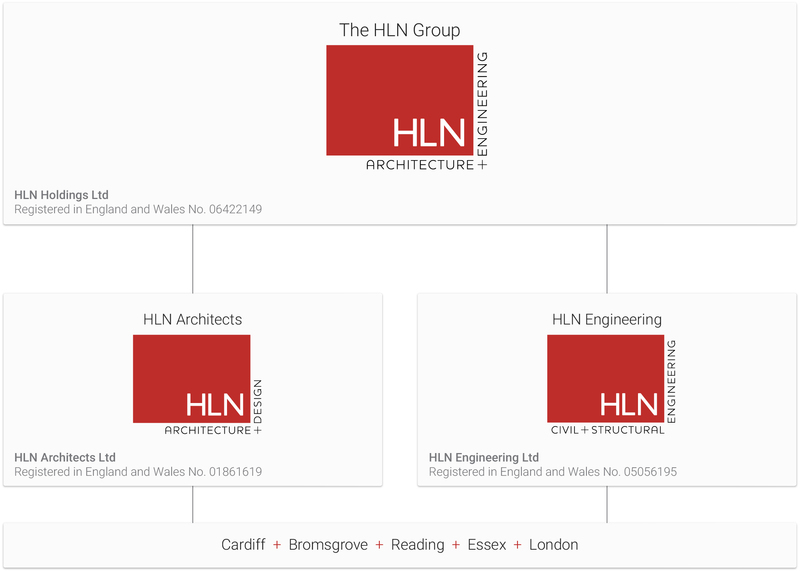 The HLN Group was formed in 2009 when HLN Architects acquired HLN Architects (Midlands) Limited and Bay Associates Consulting Limited, creating a multi-disciplinary practice offering a complete Architectural and Engineering design solution to our clients. Further engineering based acquisitions were made including John Pryke & Partners Limited in 2012 and Considere & Partners Limited in 2013. Bay Associates Consulting Ltd, John Pryke & Partners Ltd and Considere & Partners have now been consolidated into HLN Engineering Ltd. This fortifies our position as a multi-disciplinary practice and increases our presence across the UK. We now have regional offices in Cardiff (Head Office), Bromsgrove, Reading, Waltham Abbey and London.